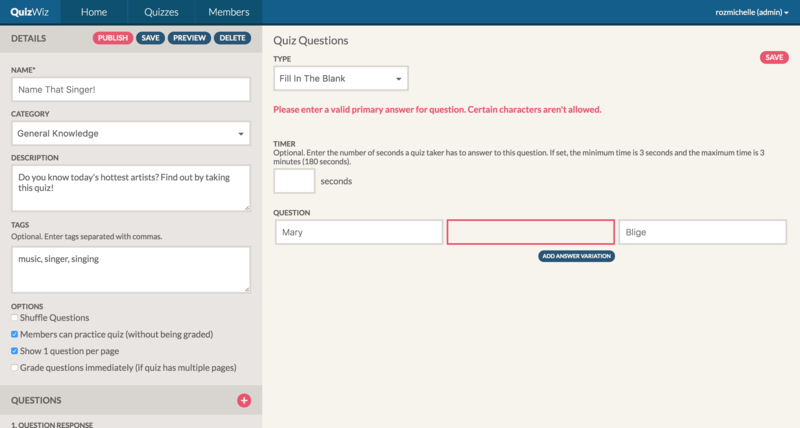 We were given specific instructions for what needed to be included in the app. 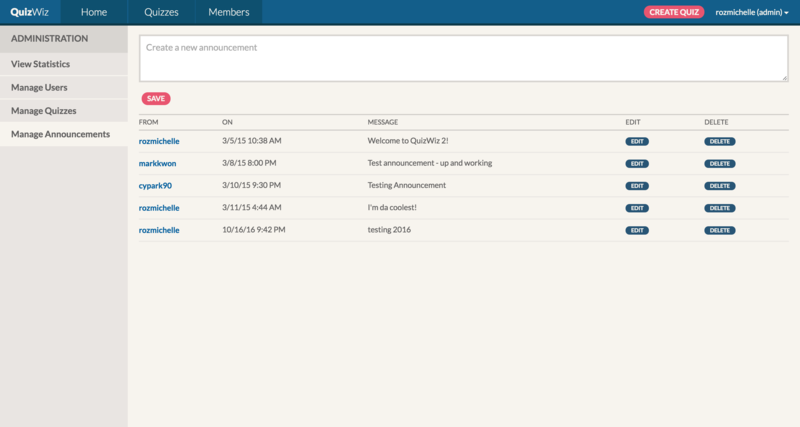 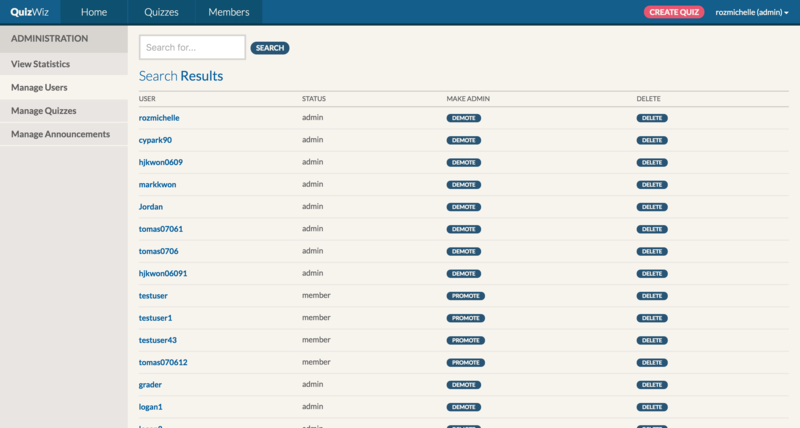 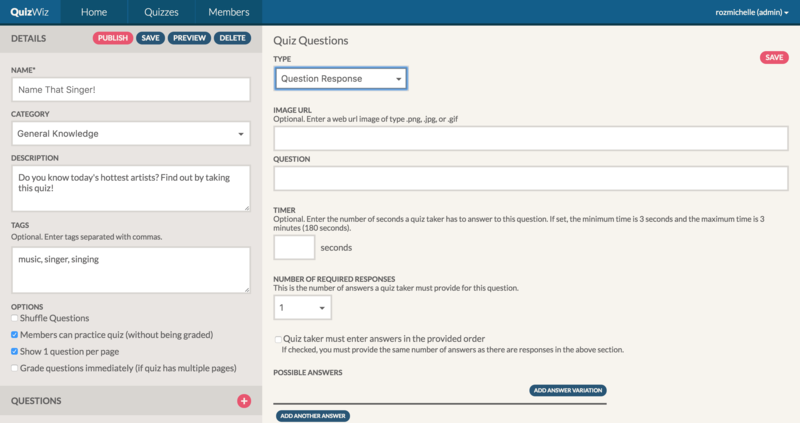 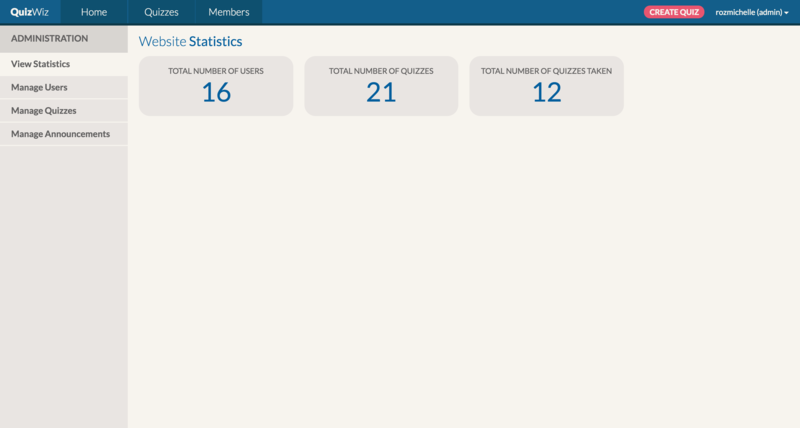 We needed to support database storage of all data, user registration and login, quiz creation and editing, taking quizzes and being graded on results, adding friends, challenging friends to quizzes, and an admin section to manage users and quizzes. 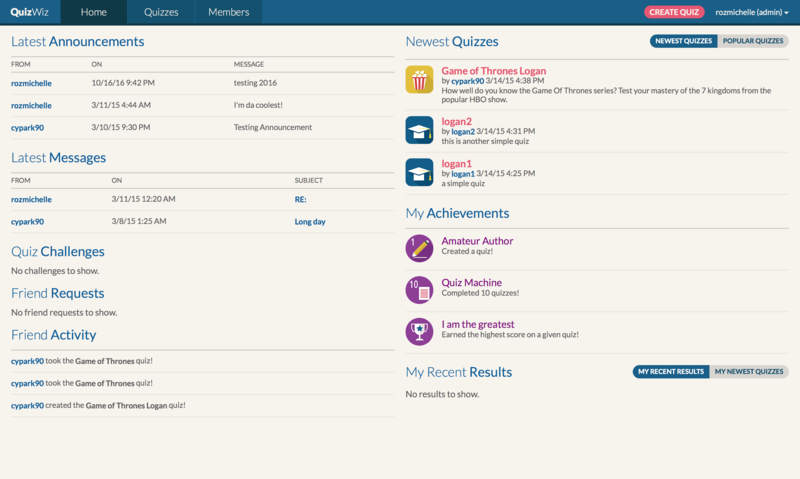 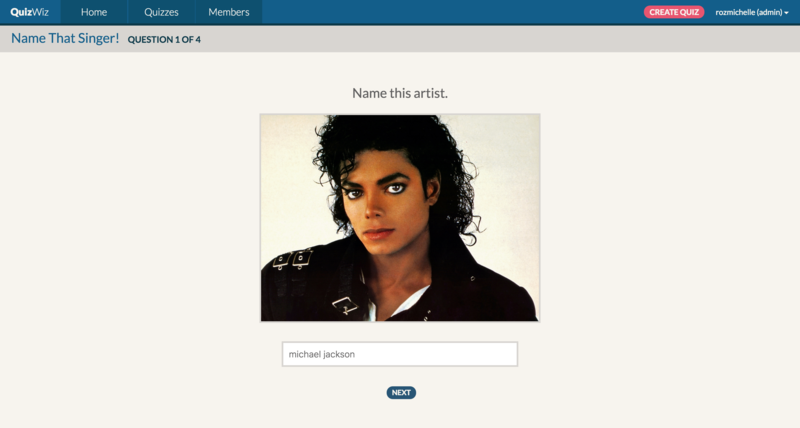 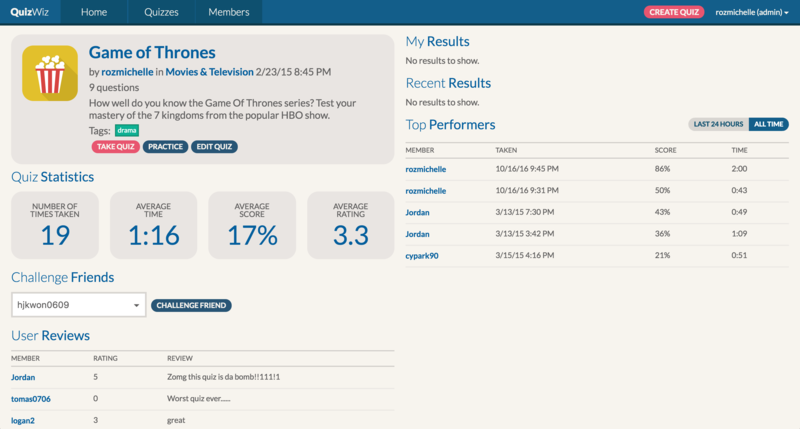 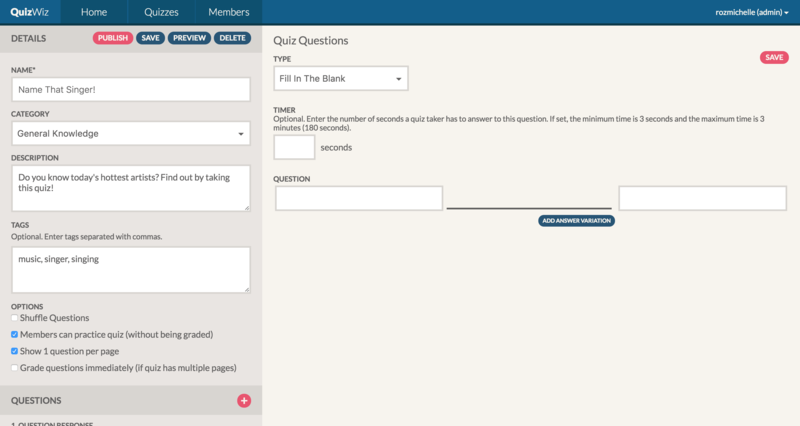 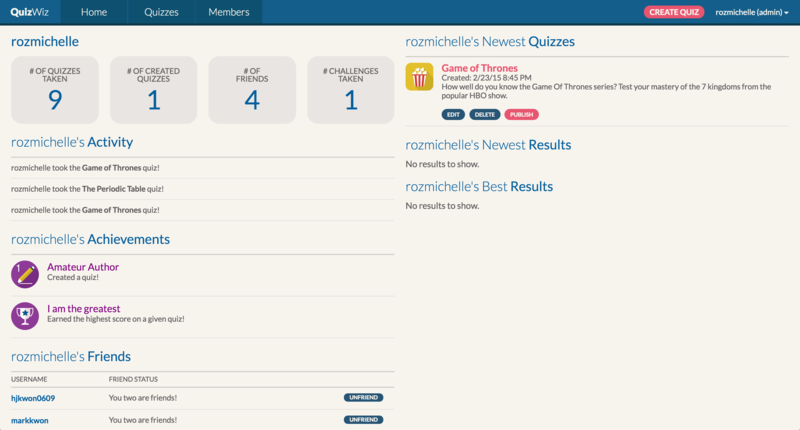 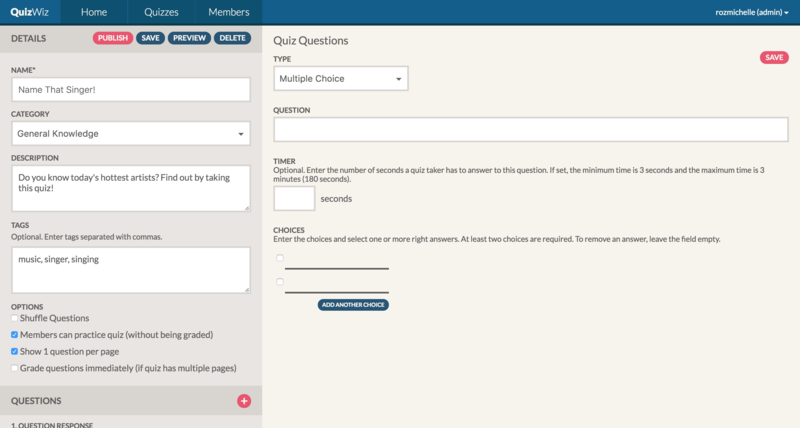 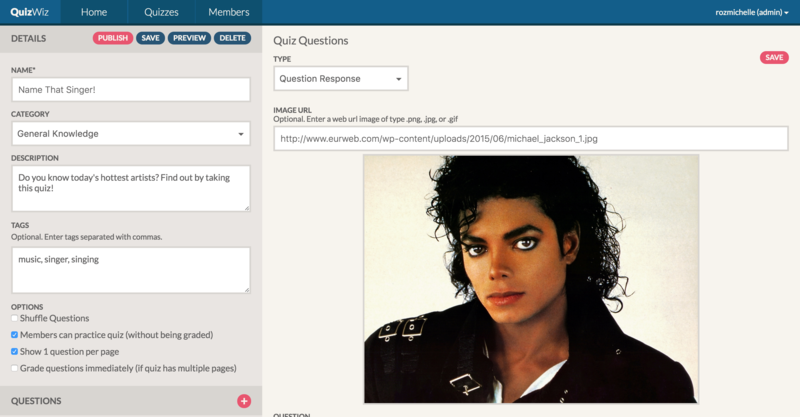 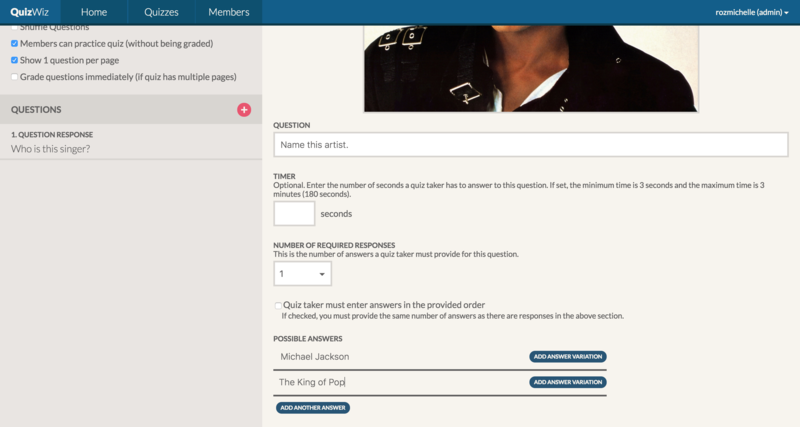 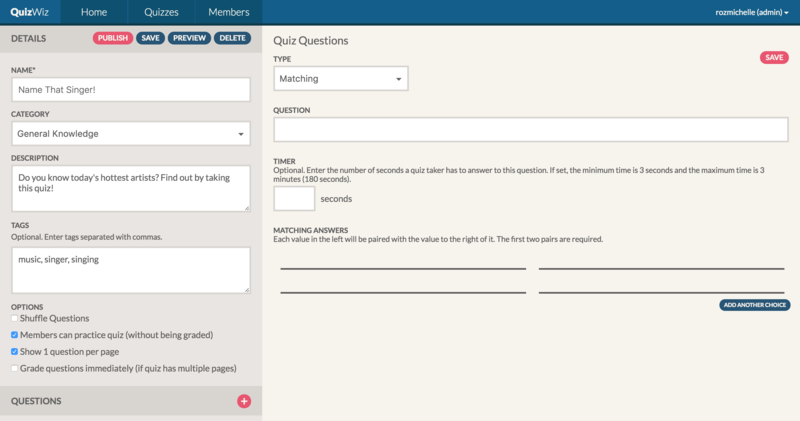 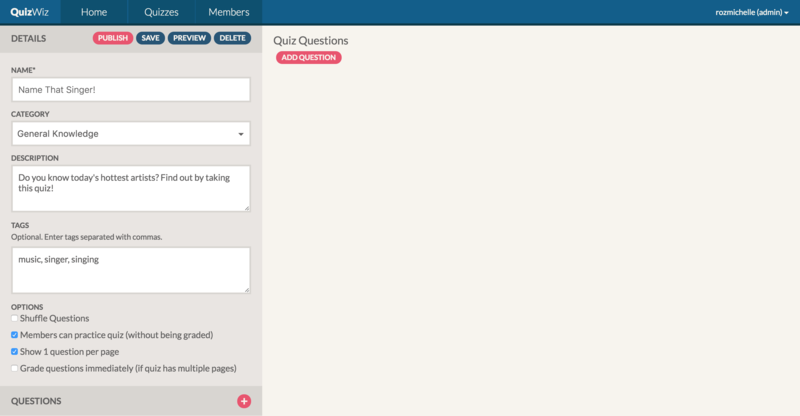 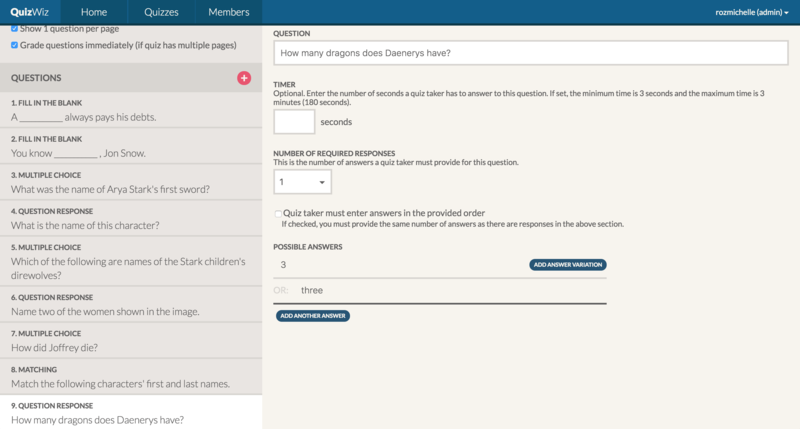 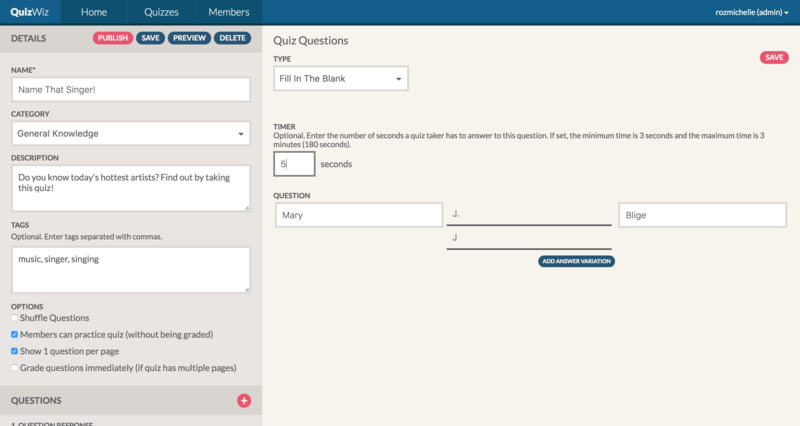 We also had the opportunity to add extra features, such as tags for quizzes and timed quizzes. 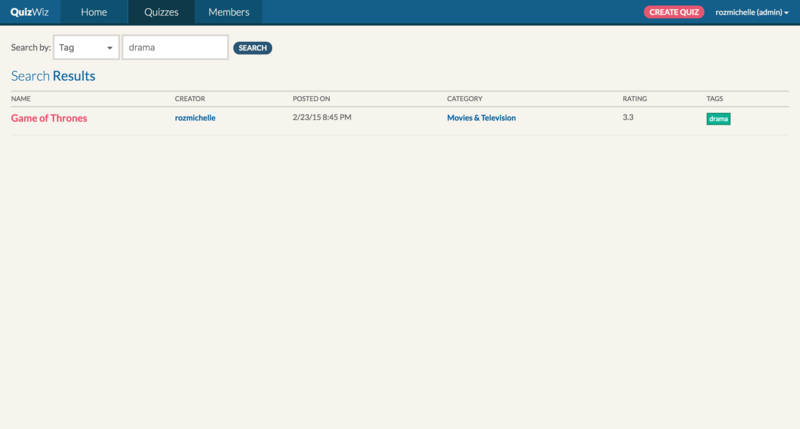 To work in a fast-paced team environment; to utilize my newly-acquired Java skills; to make the design clean and intuitive; to create a good database table structure and solid Java classes to lay the foundation of the code for the rest of the team. 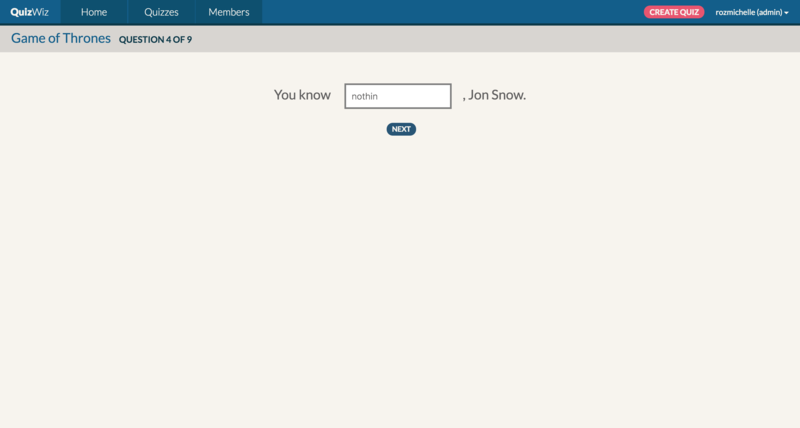 I sketched out different layouts and interactions before mocking them up. 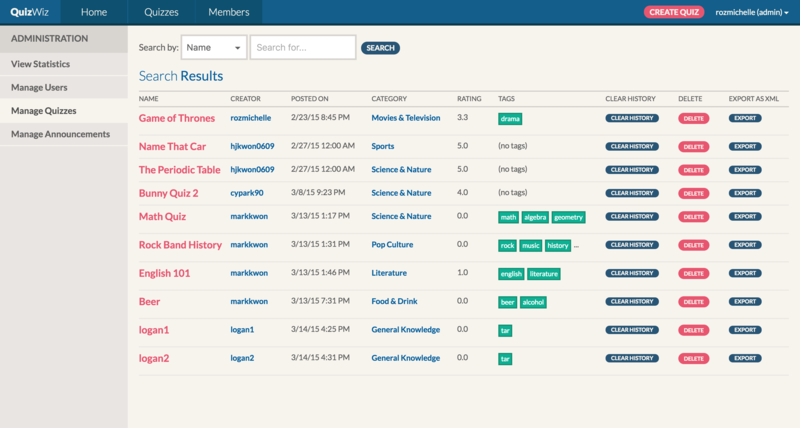 I then came up with several visual styles and templates for the team to review. 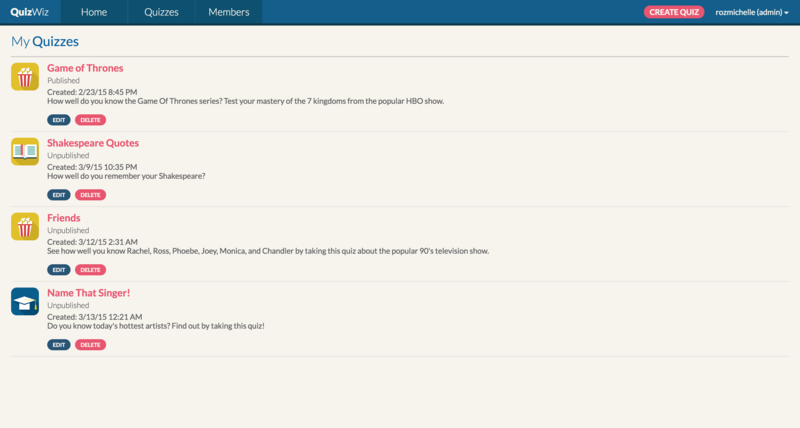 We all picked our favorite design, which I then used to skin the entire app. 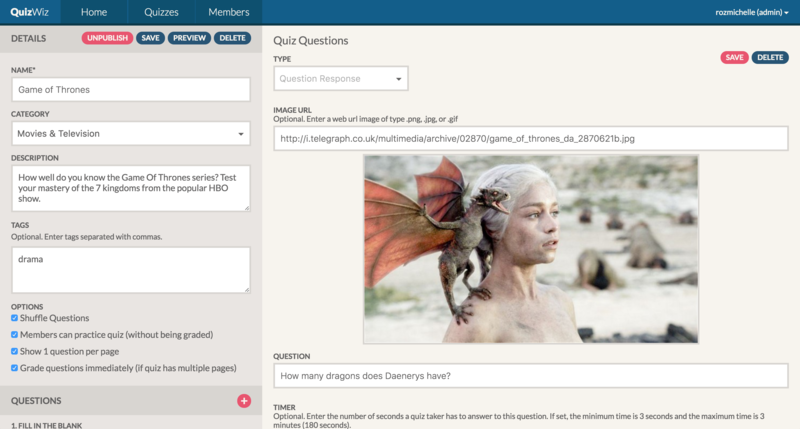 Our team went above and beyond to achieve a beyond-perfect score on the assignment: we got full points for the project and extra credit for all the bonus features we added. 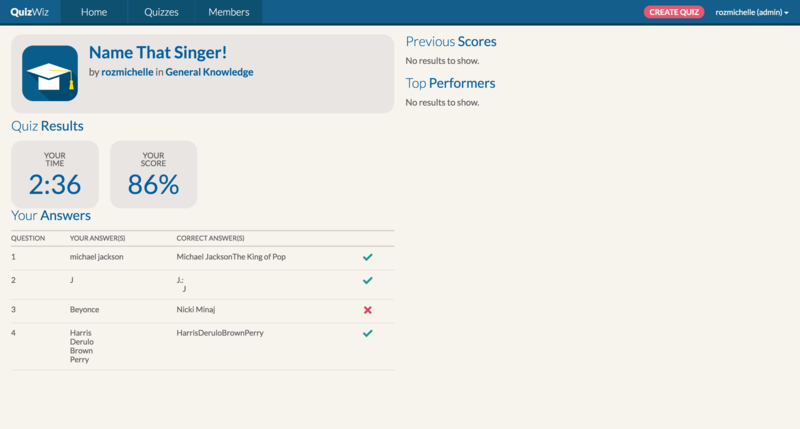 In addition to our team’s success, I also got an A+ in the course and came first in the class.